Lets face it, our kids today are NOT EXPERIENCING CHILDHOOD PLAY the way we did. We didn't have computers, xboxes, cellphones or mobile devices! We played outdoors, read books, built forts and got our hands dirty. Now that we are parents, we can't ignore that our kids need time dedicated to ACTIVE PLAY. They are so stimulated through technology and our fast paced society that the days of kids being bored enough to use their imaginations is gone! KIDS UNLUGGED is just what it states. A place and a philosophy that kids need time to be UNPLUGGED. They need a place to be engaged to use their imaginations, exercise their bodies and play actively with their families and friends. We love technology! We just want to provide a space where kids can be engaged and excited about going without having to be electronically entertained. We also, need a location that can grow with the business! As our business grows, so will our offerings. 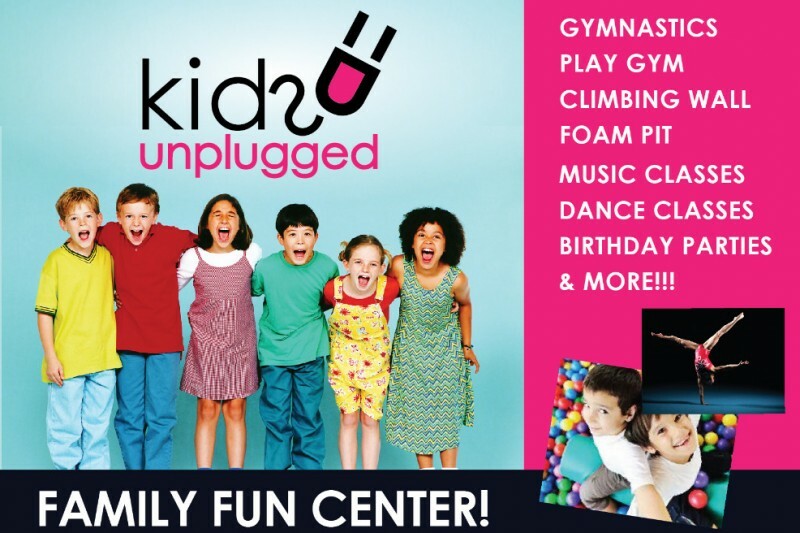 -Dropping your child off at KIDS UNPLUGGED for some healthy and fun free play will you get some needed errands done! -Your child taking a class while you get to get your workout in too! -Go on a DATE WITH YOUR SPOUSE! We'll take care of the rest and make sure they have a blast!! -Rent the whole space for a birthday! Foam pit fun?? Best birthday ever!! Not only will KIDS UNPLUGGED serve as a space for everyone to play (adults too!) 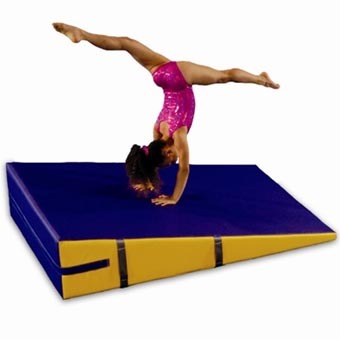 at an affordable rate, we'll also be giving our gymnastics program a home do we can offer tons of classes for everyone! Please give what you can to help our town, community, state and world raise our kids with healthy bodies, encouraged imaginations and most of all happy hearts. OKAY EVERYONE!!! 1 year down! The next phase is here!!! This has been an incredible year here at Kids Unplugged and the response has been unbelievable. We have an amazing team helping us to build the next phase of this project and we are so excited to let you in on the news! 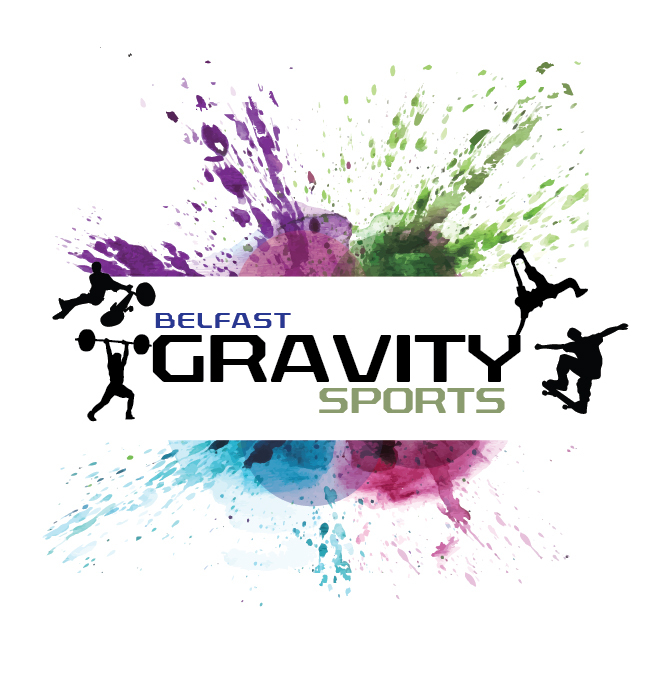 We are hoping to expand next door to open an indoor PARKOUR / NINJA Training Facility called GRAVITY SPORTS!! 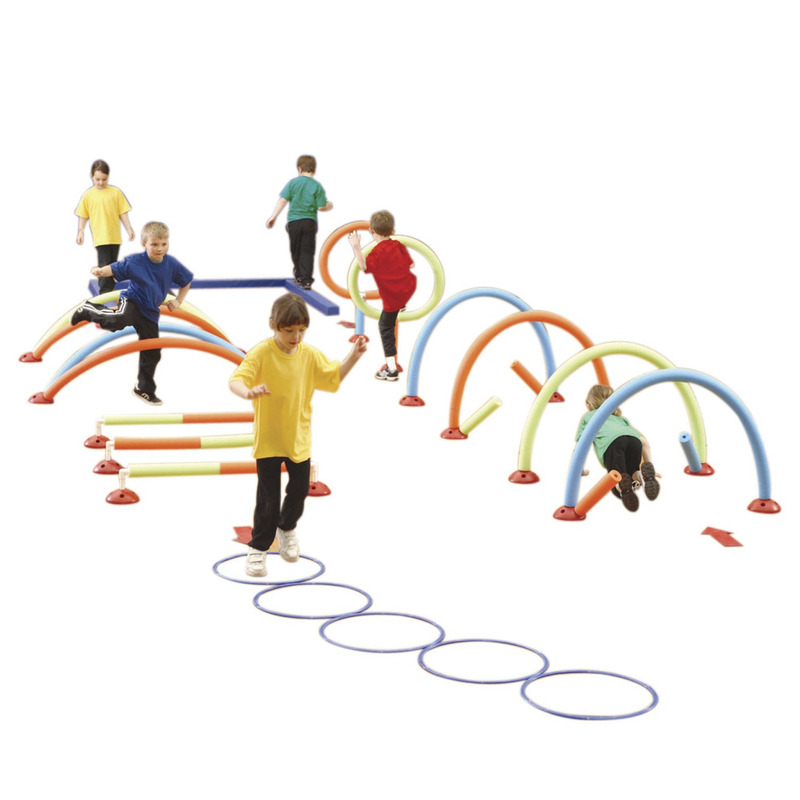 We will offer a huge climbing wall, Ninja Warrior and Parkour courses and more tumbling equipment! We want to also provide an adult gym with basic training type equipment so everyone can come to our facility and get their bodies moving! We are getting licensed to have a small daycare as a part of Kids Unplugged for the fall!!! WE NEED YOUR HELP! We need the funds for more equipment & materials for parkour / ninja courses! Our area NEEDS THIS FOR OUR YOUTH... not everyone is into organized sports and this gives them the opportunity to try something too! Check out the brand and how amazing it's going to be!!! TIME IS CRITICAL as there is a SPACE NEXT DOOR WE WANT!!!!! Anything will help! Just wanted to say thank you to everyone that has donated, reach out & just been excited about Kids Unplugged. I've had people reach out from all over asking when we are opening! If we can raise the funds in the next 2 weeks, we will be opening MAY 1. WE NEED TO GET THE SPRING FLOOR IN FIRST! Once the floor is in, we can start classes right away! In the spirit of teamwork and community, I would like to present a CHALLENGE! To help us get to our goal follow these steps! I'm tagging/sharing with you because I thought you might want to be help them raise some money for their SPRING FLOOR. Even if you can't donate please share this to spread the word... That would be awesome. 3. 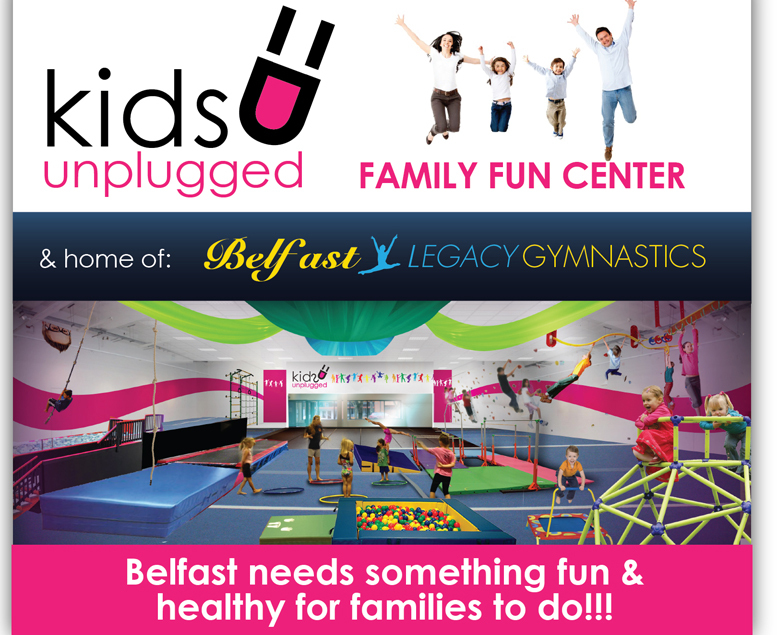 Paste this statement in a shared post, comment or tag to someone you think would want to support Kids Unplugged to open up in Belfast! 4. BOOM. you just helped Belfast get a little healthier and a little more fun! That was karmically genius of you. Help Us Get a SPRING FLOOR! Just so you know, it is confirmed that we will be getting the 2000 sqft space in Reny's plaza!!! Not only will we be offering Gymnastic classes but we will be offering Dance classes, Toddler Tumbling and Free Play classes, and I've also been talking to teachers for a variety of classes for teens and adults too! I'm really excited about offering Parkour Classes (American Ninja Warrior Classes!!!!) If you've ever wanted to be a Ninja or a superhero, this would be the class for you. We really feel strongly that the TEENS in Belfast really need some alternate choices for those that don't participate in sports! Parkour classes could be a really great option! Check the video below out!!!! Would you or your kids be interested in this? Please spread the word so that we can raise enough money to provide these classes asap!!!!! WOOHOOOOO! I'm so excited I can't stand it! This is PARKOUR! TEENS will LOVE this!